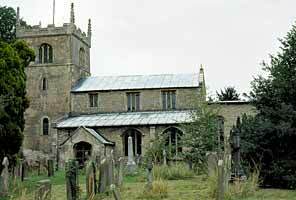 A priest and two churches are recorded in Domesday Book for Collingham. A Norman window was revealed in the tower in 1949. 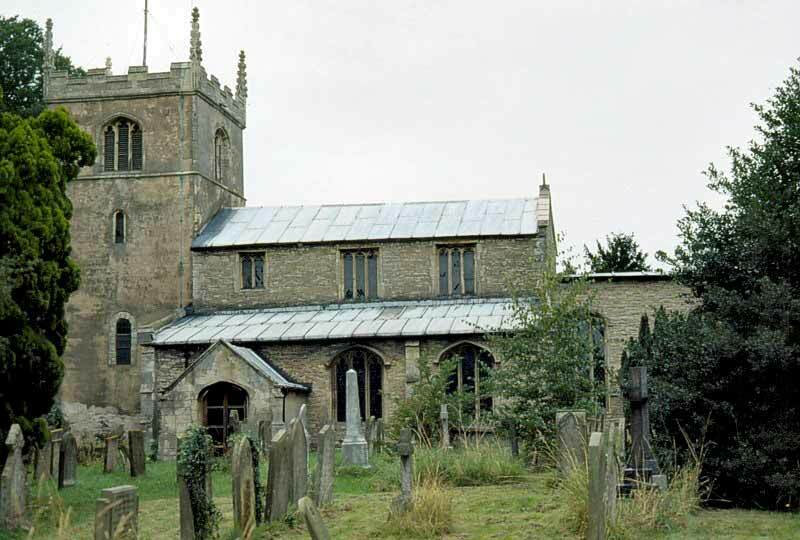 The present stone church was largely built in the 13th century and consists of a chancel, a nave with arcades of three bays, aisles each side, north and south porches and an embattled west tower with four pinnacles, a clock and 4 bells. The tower is rendered externally. Though differing in design the arcades, which are the chief feature, are of about the same date in the 13th century – the south aisle is probably about 20 years earlier than the north. The tower arch and chancel are Early English too. The waterleaf capitals of the chancel arches came first, the leaf capitals of the north arcade becoming more elegant towards the tower. Of the late Middle Ages, the best part is the north porch with stone roof and transverse ribs. The font cover is dated 1684 but still of Jacobean type. Particular thanks to Jeremy Lodge for research on this entry and to Geoff Buxton for the photographs.